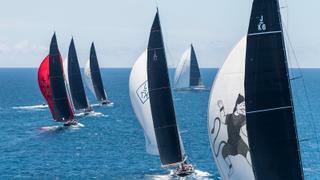 With all the high speed drama and excitement of the 35th America’s Cup as a spectacular backdrop, coupled with the chance to discover some of the attractions of remote Bermuda, the America’s Cup Superyacht Regatta lured 14 superyacht crews and six magnificent J Class yachts for three days of thrilling racing. By careful design the America’s Cup Superyacht Regatta was scheduled to dovetail with the business end of the Cup racing, falling between the final of the Louis Vuitton America’s Cup Challenger Playoffs and the start of the first races of the 35th America's Cup Match. 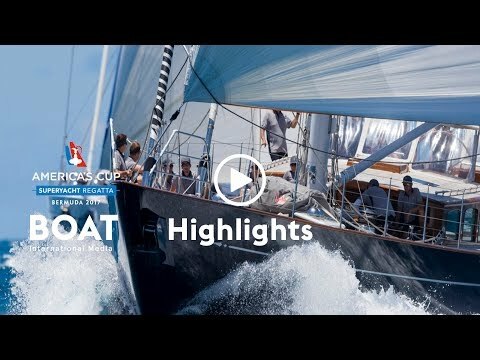 This was an exciting draw for dozens of past America’s Cup sailors, and many enthusiastic owners, to immerse themselves in the unique atmosphere of the regatta, as well as enjoying three different, short and simple coastal races on the beautiful island’s turquoise waters. The J Class mustered six yachts for the superyacht event, racing in association with Bermuda Business Development Agency. The magnificent new Svea was competing in her first races on the Wednesday and Thursday, winning on the second day. 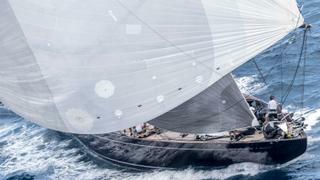 Lionheart, with round the world racer Bouwe Bekking in charge, won the J Class and with it the top prize for the regatta: the America’s Cup Superyacht Regatta Trophy. The historic sterling silver two handed cup made by Garrard dates back to 1872 and was first presented to the winner of the America's Cup Superyacht Regatta – 55 metre Adela – in San Francisco in 2013. The winner of each class was also presented with a limited edition Bremont AC1 watch, with those finishing in the top three receiving beautifully crafted Puiforcat trophies. Class A was composed of some of the racier, performance orientated superyachts and was won by Lord Irvine Laidlaw’s Highland Fling 15, the Nautor's Swan 115 which was launched last year. As well as the on the water action participants were also treated to a packed social programme. The event kicked off with a welcome reception, held in association with Bermuda Tourism Authority, at the Royal Bermuda Yacht Club. The following evening Tucker’s Point hosted a lavish owners's dinner, in association with Feadship. The event concluded with a prize giving party held in association with the Bermuda Business Development Agency.